The Rogue Valley was a little different when, more than 45 years ago; Ashland Women’s Health Center opened with an all-volunteer staff located above a “sweet shop” that focused self-care exams, pregnancy and communicable disease testing. In 1972, Jackson County’s population was less than half of what it is today, but was already showing signs of dramatic growth: in the next few decades, the area’s population would grow at nearly twice the rate of the U.S. population overall. Within 5 years of its opening, the need for expanded services and hours was evident. With the addition of a few paid staff members in 1977; the health center was renamed Ashland Community Health Center, which better defined the role it was destined to play within the community. The agency incorporated on June 20, 1974. Subsequently, the City of Ashland would provide funds to hire a part-time physician and expand services. Marilyn Lenihan was hired as Executive Director. As Ashland and the surrounding communities continued to grow, further demands were placed on medical providers. The early 1980’s saw a downturn in the timber industry and a 17% unemployment rate, leaving many residents experiencing significant financial barriers to accessing healthcare. At the request of the Medford City Council, a second clinic site opened in a space donated at the Sacred Heart Parish in Medford. To reflect the expansion of services to include all of Jackson County, the agency’s name was changed again, this time to Community Health Center. Recognizing the need to offer lower income patients with diagnostic testing as part of providing quality medical care, Community Health Center initiated in the early 1980’s discussions and reached an agreement with Providence Hospital (Providence Medford Medical Center) for diagnostic imaging services and with Rogue Valley Medical Center for laboratory services. With cost no longer a barrier, qualified Community Health Center patients now had access to these critical diagnostic tools. Fire destroyed the Medford clinic site housed at Sacred Heart Parish in 1987 forcing temporary closure of the clinic. When service was re-established at Sacred Heart Parish, space was added for the expansion of services to four half days a week. Peg Crowley was hired as Executive Director in August 1987. In 1993, grant funding allowed for the purchase of the Myrtle Street property in Medford, and with the expanded space, the number of patients doubled. In 1994, Oregon Health Plan expanded state health coverage and services for the working poor. The VOLPACT Program was established in 1994 by the Jackson County Medical Society, with the assistance of Dr. John Forsyth, as a “temporary” charitable bridge to specialty consultations and expensive procedures for low-income and working uninsured residents in Jackson County. Ashland Community Hospital, Providence Medford Medical Center, Rogue Valley Medical Center, and 85% of Jackson County physicians volunteered. The bulk of the primary care and preliminary screening was provided by Community Health Center and La Clinica. 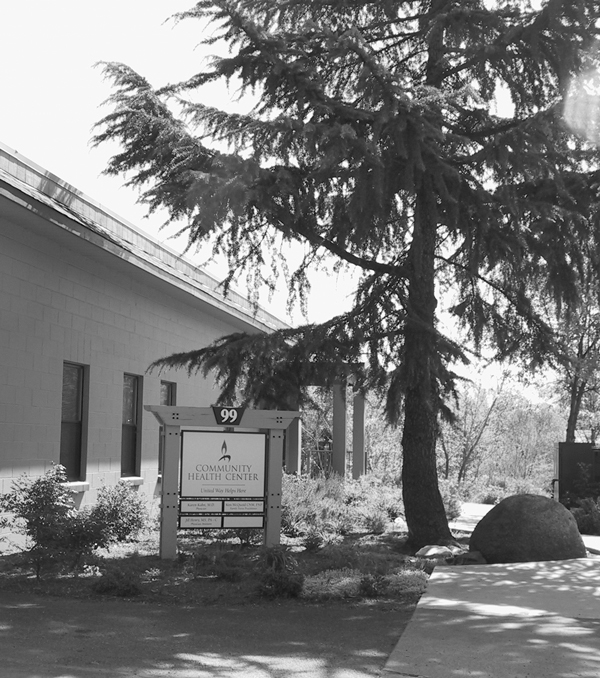 In 1997, after celebrating “25 Years of Caring” in Medford and Ashland, Community Health Center turned its attention to the Upper Rogue region. In partnership with the Upper Rogue Family Center, White City residents, and Jackson County Health and Human Services, Community Health Center successfully obtained a four-year grant from the U.S. Department of Health and Human Services. The express purpose of the grant was to reduce the rate of infant mortality and the number of low-birth-weight infants born to residents of White City and the Upper Rogue region of Jackson County. 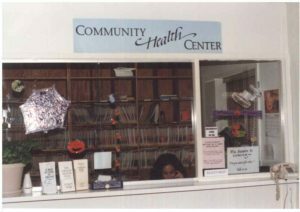 In 1998, when Community Health Center’s third clinic opened in White City, the infant mortality rate there was three times the National average (23 deaths per thousand). Oregon’s Office of Epidemiology for White City reported that during the period of 2006 to 2008 the infant mortality rate in White City was 2.09 per thousand – significantly lower than county, state and national statistics. This great improvement was possible because quality healthcare was made accessible and affordable for the area’s growing families. At the same time as the White City health center was opening, Ashland’s health center was involved in a $1.5 million capital campaign and a move to its current location at 99 Central Ave. In 2003, the “Every Child Can Have a Medical Home” board-directed fundraising campaign launched with the goal that no child should be denied medical care. This successful campaign allows for children to receive their first medical visit at no cost and to help with enrollment in Oregon’s Healthy Kids Insurance Program. A similar campaign dedicated to women’s health followed. With the demand for services in White City rapidly outpacing capacity, a $3.5 million capital campaign was launched lead by chairperson, Olive Lansburgh, to construct a new clinic in White City, at 8385 Division Road on property donated by the Hornecker Family. The clinic opened in December 2004 as Community Health Center received its first federal 330 grant and became a Federally-Qualified Health Center. Electronic health records went live in 2010 thanks to a Federal grant funding opportunity, allowing patient information to be shared between staff and facilities in a secure, electronic manner enabling providers to track patient care in real time. Patients can easily access their personal health information 24/7 through a secure online connection called MyChart. A need was identified in the Eagle Point School District and funding was sought to construct a school-based health center (SBHC) in space provided in partnership with Eagle Point High School. Opening January 19, 2011, the SBHC serves the healthcare needs of students and faculty at the high school. By 2013, all clinic and school-based health center sites were recognized by Oregon Health Authority as Tier 3 Patient-Centered Primary Care Home. Tier 3 is the highest level of recognition achievable. Families in the geographically remote community of Butte Falls no longer needed to drive to Eagle Point or farther to access medical care thanks to Community Health Center receiving its second federal 330 grant from HRSA. Community Health Center in Butte Falls opened November 2011, providing medical services and leaving space to construct a dental clinic. The agency immediately sought funding and support from the Butte Falls School Board to open a school-based health center within the new clinic. Renovation commenced and by fall 2012, Butte Falls Charter School students had a new school-based health center with access to medical care right on the school grounds. At the same time, Community Health Center opened a 3rd school-base health center at Ashland High School. Renovation and expansion of the ageing Medford clinic site became possible thanks to a grant obtained through the Affordable Care Act, a City of Medford Community Block Development Grant, foundation grants and individual donations. The now 10,792 sq. ft., 15 exam room clinic celebrated with a grand opening on October 17, 2012, to share the importance of this new facility for generations to come. The roll out of the Affordable Care Act in 2014 came with many changes at Community Health Center. New enrollees to Medicaid (Oregon Health Plan) presented with many health problems that had been ignored for years. More staff was hired to handle patient care. The number of uninsured patients dropped from as high as 66 percent to 15 percent. William North was hired as Chief Executive Officer as Peg Crowley retired. Community Health Center received notice of recognition in June 2014, from the National Committee for Quality Assurance (NCQA). The agency’s Medford site was recognized as a Tier 3 level Patient Centered Medical Home (the highest level of achievement available). The agency changed its name in 2015 to Rogue Community Health and continued adding services. Pharmacy services opened in Medford allowing for patients to pick up their prescriptions right after their medical appointments, and for other sites, prescriptions were delivered for patient pickup. White City health center experienced a severe flood in early 2015, which resulted in new carpet and paint for much of the ground floor. The health center remained open during reconstruction. In 2016, Rogue Community Health was recognized as one of Oregon’s 100 Best Nonprofit to work for in the State of Oregon. Renovation and expansion projects began in August 2016 – and all at the same time – for Ashland, Medford and White City. Ashland’s redesign included two new exam rooms and additional office space. White City gained on-site pharmacy services and additional exam rooms. Dental services were added in Medford with a stand-alone clinic at 906 Royal Ave. In fall 2016, two new school-based health centers opened in the Eagle Point School District and school-based behavioral health services were expanded. In 2016, seven CEOs from some of Jackson County’s most dynamic organizations sat down to begin a meaningful collaboration, known as the “Rogue Challenge,” designed to better address the needs of those they mutually serve. Their goal: a coordinated effort to create a better system of care, and to use available funding efficiently and effectively to move families to self-sufficiency. The agency celebrated the opening of its Integrative Health Center on January 12, 2017. Integrative health combines traditional medicine with a holistic approach that includes nutritional counseling, herbal medicines, lifestyle, and supplementation support. Jackson County Mental Health therapists warned in March 2017 that disruptions to the local mental health system could lead to spikes in homelessness, unemployment, domestic violence, child abuse, crime, addiction, hospitalizations and suicides as the county lost contracts with coordinated care organizations, Jackson Care Connect and AllCare Health Plan. Rogue Community Health responded by adding behavioral/mental health services as well as substances abuse services. Administrative staff moved to temporary mobile trailers to make room for additional behavioral health services. Five more community health workers and eight mental/behavioral health staff were hired, along with two psychiatric nurse practitioners and a behavioral health director. Benchmarks set by Oregon Health Authority Patient-Centered Primary Care Home (PCPCH) Program awarded Rogue Community Health the distinction of being recognized as a 5 STAR clinic. This designation acknowledges exemplary clinics that have implemented advanced transformative processes into their workflow and recommended best practices. Only 34 of 615 health centers in Oregon are designated as 5 STAR. 2018 brings the continued expansion of behavioral health, substance services and community health workers, the addition of permanent drug take back bins in Medford and White City that are available to the community, and the availability of Naloxone (an overdose reversing medication) for Rogue Community Health patients. Administrative staff moved out of the temporary mobile trailers in spring 2018 and into newly purchased office space. Campus parking in Medford was resurfaced to better accommodate parking for the growing demand for services. The agency is now serving 10,404 patients, of which 23 percent are uninsured. © 2019 Rogue Community Health. Rogue Community Health is a tax-exempt, 501(c)(3) organization founded in 1972. The mission of the organization is improve health, especially for the most vulnerable, by nurturing wellness in people and in our community. Rogue Community Health is an equal opportunity employer. Website design by Creative Marketing & Design.